The Coast to Coast Part 2 walk is a 110 mile route across North Yorkshire. The route is the Eastern half of Alfred Wainwright's famous coast to coast route. You walk from west to east through stunning scenery, crossing the Yorkshire Dales and North York Moors National Parks. 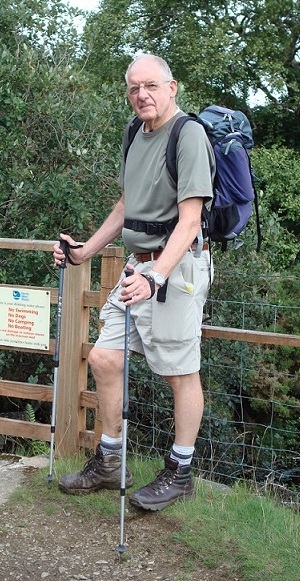 You start your self-guided coast to coast part 2 walking holiday at Kirkby Stephen. 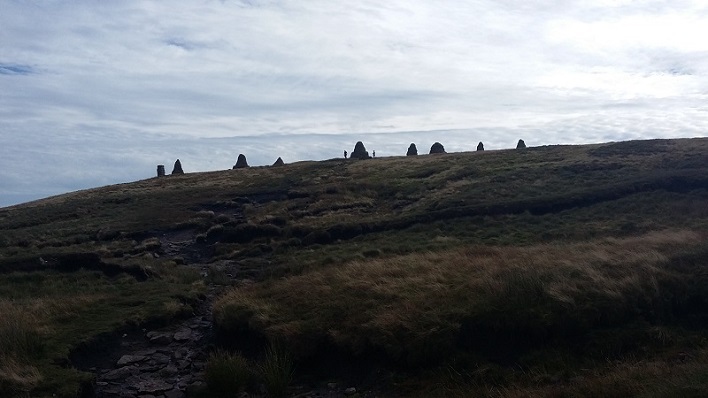 The route climbs into the Pennine Hills and visits the mystical cairns atop Nine Standards Rigg. You continue through beautiful Swaledale to Richmond, a historic market town founded by the Normans. You leave the Yorkshire Dales and cross the low lying Vale of Mowbray to the North York Moors. From here the trail leads you on a roller coaster across the heather covered hills to the North Sea and finale of your coast to coast journey at Robin Hoods Bay. You can start your coast to coast part 2 walk self-guided holiday on any date of your choice between April and early October. Holiday price £560 per person. Holiday price £620 per person. Holiday price £690 per person. Holiday price £740 per person. Single supplement - There are very few single rooms along the route and therefore the accommodation owners generally allocate a double or twin room for single occupancy. We can accommodate one single occupancy per booking for the average supplement of £20 per night. If you require additional single occupancy rooms, they will be charged at the extra cost incurred. This can be up to full double/twin room rate. The Coast to Coast part 2 is a wonderful but challenging route parts. You will need to be physically fit (stamina for back to back long daily walks/hikes and cardiovascular for steep ascents) and be equipped to meet your challenge. 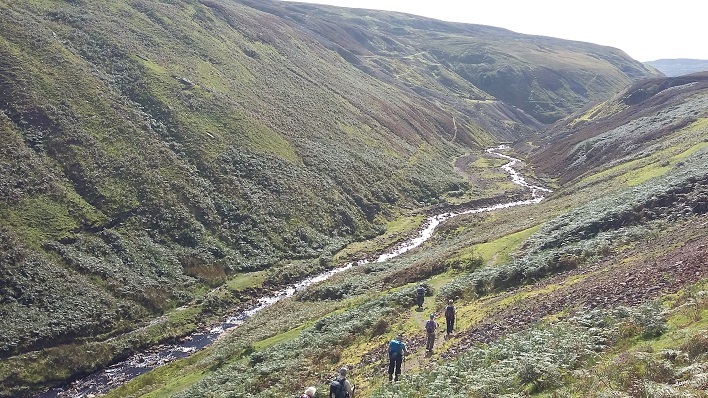 The valleys through the middle section, and the arable land in the eastern section make for straightforward walking, but the hills of the Yorkshire Dales and North York Moors are rugged in places and some gradients can be steep. The terrain on this trail is a diversity of rocky mountain paths, limestone plateau’s, country lanes, rolling hillsides and farmland. Despite its popularity the route is not a National Trail and therefore waymarking is limited. We recommend you are able to navigate with a map and compass. A GPS is also a good backup device. Backup accommodation to accommodation personal transfer if needed. Evening meals, packed lunches, drinks and snacks, travel insurance, travel to Kirkby Stephen and from Robin Hoods Bay, souvenirs, laundry services, etc. We know how incredibly important your accommodation is each night of your coast to coast holiday. That’s why the accommodation provided is in carefully selected walker friendly B&B’s, Guest Houses, small Hotels and Inns. The owners have excellent local knowledge, understand the needs of walkers and are welcoming and want you to enjoy your stay. As a family business we have personally built an excellent reputation and relationship with the owners and managers. We aim to book rooms with ensuite or private facilities every night. In a few villages ensuite accommodation is limited and we may have to book a room with shared facilities for one night of your holiday. We provide detailed instructions to find you accommodation which is booked on or close to the Coast to Coast Path. We hope all our customers walking the Coast to Coast route will complete their challenge, however illness and injury sometimes occur. For this reason you are supported by a daily transport service, which can drive you from accommodation to accommodation if needed. 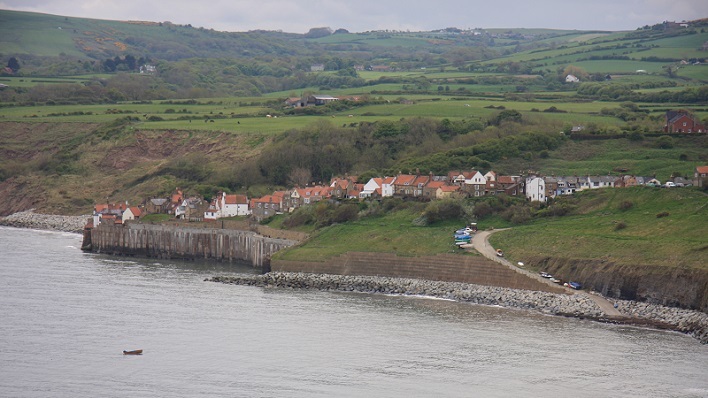 The Coast to Coast Part 2 walk is a 110 mile route across North Yorkshire. The route is the Eastern half of Alfred Wainwright's famous coast to coast route. The following is intended to provide further information about the route and points of interest. Please note that all distances and heights in this document are approximate and along with all the other information are provided as an aid to describe the route. Several guide books providing more detailed route descriptions and information are available. Kirkby Stephen is a small market town in the eden valley with a few pubs, cafes and shops. Cross Franks Bridge and head for the lane which becomes a broad path onto the Pennine Moors and the summit of Nine Standards Rigg (662M). Depending on the time of year there are three routes over and around Nine Standards; green (avoiding the summit) for winter and spring, red for early summer, and blue for late summer and autumn. All routes cross peat, which is notoriously boggy in wet weather, before descending to the River Swale and the road in to Keld. If the weather is poor a road over the moor leads from Kirkby Stephen to Keld. From Keld you have a choice of routes. The main route stays high and crosses moorland that is scarred from a lead mining industry that disappeared at the end of the 19th century. From Keld the route descends to the river then climbs past Crackpot Hall and the ruins of Swinner Gill mine workings. It crosses the moor (580M) before dropping into Gunnerside Gill (400M) and then up onto Melbecks Moor (550M). From here a broad track descends gradually passing the ruins of Old Gang Smelting Mills to Surrender Bridge (350M) and another smelt mill. The last test of the day is to drop into Cringley Bottom, cross the river and then continue over the farmland to Reeth. The alternative route, which is very appealing if staying in Thwaite or Muker, is to follow the ‘royal road’ through Swaledale valley. The route passes through Gunnerside and a few small pleasant Yorkshire Dales villages. This is a much easier day’s walk across rolling countryside passing Marrick Priory, Marske village and Whitecliffe wood to the largest town on route, Richmond. The route to Danby Wiske is almost level and generally easy going, it crosses farmlands to Bolton on Swale and then follows 7 miles of country lanes across the low lying Vale of Mowbray. The path remains easy going initially following the country lanes before returning to farm land. Take care crossing the busy A19 road. There is a steep ascent to Carr Ridge (390M) followed by a gradual rise to the summit of Round Hill (454M), the highest point on the North York Moors. The path descends to Bloworth Crossing (400M) were it leaves the Cleveland Way and continues on an almost level disused railway line across the desolate moors to the remote Lion Inn on Blakey Ridge. After a few miles alongside the road the route follows a track across the heather clad moors. Another road walk and then the route continues along a broad disused track gradually descending Glaisdale Moor into Glaisdale village. Never far from the River Esk the route passes through East Arnecliffe Wood to Egton Bridge where it follows a once toll road through the private estate of Egton Manor to Grosmont. The road climbs steeply out of Grosmont (its not called the 1 in 3 for nothing) to its high point on Sleights Moor (285M), there are wonderful views to Whitby and the sea. Still on heather moorland the route descends into Littlebeck (50M). The route follows a woodland trail. After the woodland the path rises and crosses a final stretch of heather moorland before following country lanes to the coast. This time the path turns south to follow a coastal path to Robin Hoods Bay and a final last descent to the sea. Follow tradition once more by dipping your boot in the sea and throwing your pebble in (that should baffle the geologists in years to come). Your challenge is complete. Robin Hoods Bay is a picturesque once fishing village and reputed smugglers haunt. Being built on the hillside the street from top to bottom of the village is the final steep descent/ascent on route. The train station in Kirkby Stephen is a short taxi journey (1.5 miles) from your accommodation. Scarborough train station is a 40 minute bus or taxi journey from Robin Hoods Bay. Approximate journey times – To Manchester Airport 3 hours. To London 3 hours. Good Morning, Just to say Thank You for organising………. We found all the information useful & didn't get lost. It's better marked than we anticipated. The luggage transfers worked well & the B&B's were of a consistently high standard…we thoroughly enjoyed the experience, weather good, no bog, no blisters and some good company along the way. We'll contact you again in the Autumn once we've decided on next years adventure. Good Afternoon, Just a quick note to say we had a wonderful journey. Many thanks for your superb organisation. All the B and B's were excellent…Many Thanks for making our walk so good. Just a quick note to thank you for the superb organisation of our walk. The accommodation was excellent and all the information and directions were good. We didn't get lost - just a few times wandered off the route. We thoroughly enjoyed it and in spite of some members not able to walk regularly we all managed it. We are thinking of doing the Cotswold way next year which I believe you do. Many thanks. We successfully completed the next part of the C2C last week from Keld to Ingleby Cross. Many thanks for arranging everything - all worked really well and the b&bs all very nice with helpful hosts. Just a quick note to let you know that we finished our final section of the Coast to Coast and were pleased with the accommodation, particularly at the Lion and Great Broughton… overall a great holiday and we will come back to you in the future when we decide on our next trip. Thank for all your assistance, it has made life very easy for us!